The society where we move has many expectations from us, how well we socialize, how much we are qualified, how well we demonstrate social etiquettes, what assets we have and how reputed our way of life is. Society defines and labels us in many ways, it appreciates and depreciates us, it gives us self-esteem and also it puts us down however we must not reflect any pressure or negativity that would tumble us down. Just stand tall, let this society never dictate you, choose to be different, cut your coat according to your cloth, do what is feasible for you, spend as much as you can afford. Not necessarily a public show-off is needed. If you are happy you don’t really have to advertise. I must say, people’s happiness is driven by 1k likes or few followers which is in itself a very lame popularity. If you are good enough with your beliefs, self-esteem, your principles and gratitude then no power should shake you up. You can achieve insurmountable just by believing in yourself and you can turn your tides and set sails towards your ambition. However the society where we move is always objectionable towards us, they judge us by the clothes and the brands we wear, they look out for the gadgets and devices we use and they also every now and then ask us about our smartphone. Well if you have been quite ashamed for an older smartphone then it is the time to make use of your old savings and buy the best phone in town, yes you heard it right. Samsung lately came up with S8 and S8 plus which gives life a newer picture, a brighter side of the camera, a much refined experience of technology and everything about it is so grand that one cannot ignore it. 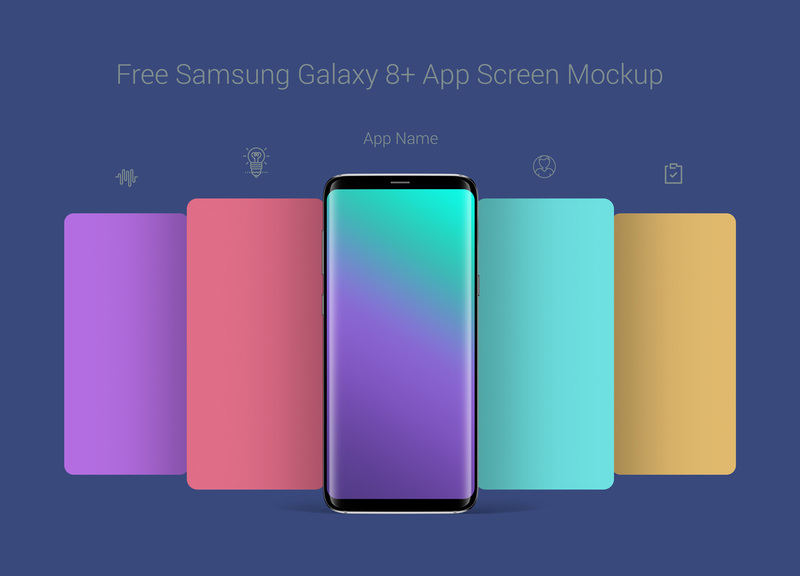 Down here I am putting forward free Samsung galaxy S8 app screen mockup. 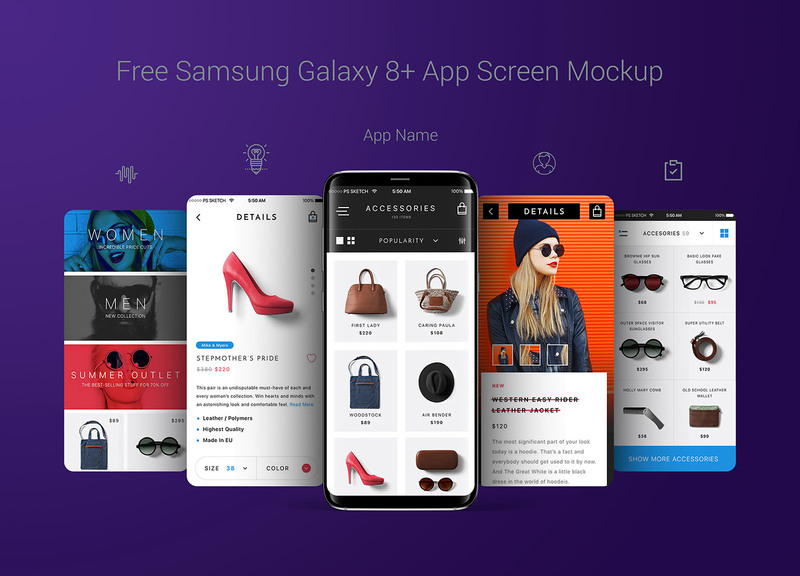 Insert in the app that you have developed for your client and make a presentation out of it, he will get the clue how his app will appear on the big screen of Samsung S8. For more amazing tech feed just stay tuned. Here we go with a bang and also leave us with your feedback.